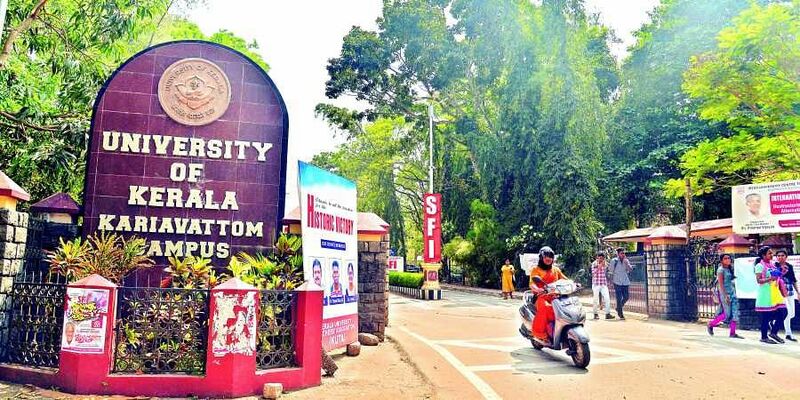 THIRUVANANTHAPURAM: Close on the heels of University Grants Commission (UGC) framing a stringent set of regulations to the institutions under various universities in the country to achieve the deemed university status, no colleges in the state are eligible. Reason: The norms included in the regulations are hard to accomplish except the rule of institutes’ existence more than 20 years. However, the state will request the centre to dilute the regulations in accordance with state’s higher education scenario. At present, only two institutes- Kerala Kalamandalam and Indian Institute of Space Science and Technology have only the status of deemed university. As per the UGC rules issued in February, the National Assessment and Accreditation Council (NAAC ) grading of an institute should be above 3.26 for three consecutive years and there should be minimum 2,000 students—with at least one-third of them registered in PG and research courses. In addition, colleges should be at least 20 years old. The rules also stipulate that the institutes should have at least 100 teachers and a teacher-student ratio of 1: 20. In addition, the institute should figure in the top 100 list of overall best institutes of higher education as per the National Institutional Ranking Framework (NIRF) rankings or in top 50, in case of a specific category of NIRF ranking carried out by the Union Human Resources Development Ministry every year. Though the UGC has instructed the institutes to submit a Detailed Project Report (DPR) containing 15 years’ strategic vision plans and five-year rolling implementation plan to attain the coveted status, the colleges which are more than even 100 years old in the state are yet to submit the report. According to J Prasad, educationist, the UGC regulations will turn out to be a farce as even several existing deemed universities in the country have no sufficient facilities to get the status of ”deemed university”. ” The UGC issues regulations periodically. But it should be noted that whether these stipulations are complying with by the institutions. Hence a monitoring system should be in place to verify the implementation of UGC norms”, Prasad said. Meanwhile, Rajan Gurukkal, Vice Chairman, Kerala State Higher Education Council, told Express that the UGC norms are not in accordance with the state’s education scenario and hence the state would negotiate with the centre to make necessary changes in the circular according to state’s interest. “Recently, the state received a grant from Rashtriya Uchchatar Shiksha Abhiyan (RUSA) after convincing about the state’s exceptional growth in terms of higher education. So we are emerging as a top educational destination comparing to the institutes at other states. We will also seek more time from UGC to get the deemed university status. However, we will send report to UGC by including our request to amend certain norms in the circular for the state’s interest”, he said.